Hiya everyone! It's the first of September, and that means it's 31-Day Challenge time! Two years ago I started this blog off with this challenge, and now I'm doing it again. This time I'm doing it at the same time many other bloggers do it, and I'm also going to try and keep up the pace. That's right--I'll be doing a new mani every day this month! At least, that's the goal. Day 1 of the challenge is all about the colour red. I chose a classic, pinup-inspired look, with a bit of a twist. 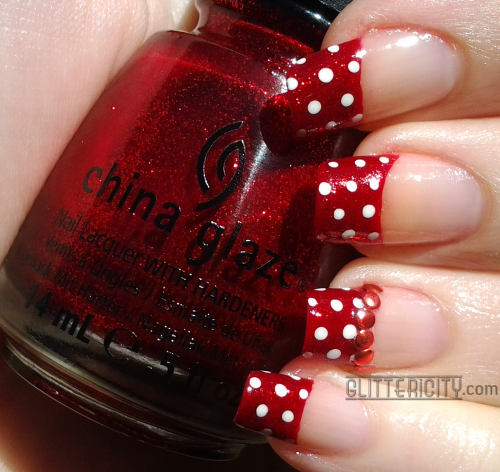 I've applied French tips with this glorious red we all know and love--China Glaze Ruby Pumps. A deep red jelly with a beautiful glowing shimmer, it's opaque in two coats and looks great on absolutely every skin tone and nail length! 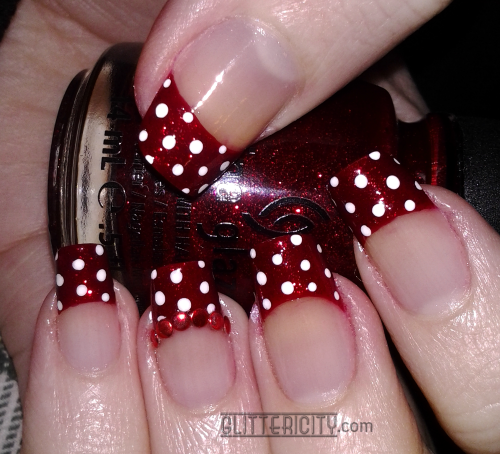 The white dots are done with a dotting tool and white acrylic paint, and the studs on the accent nail are from Born Pretty Store. so feel free to follow along! 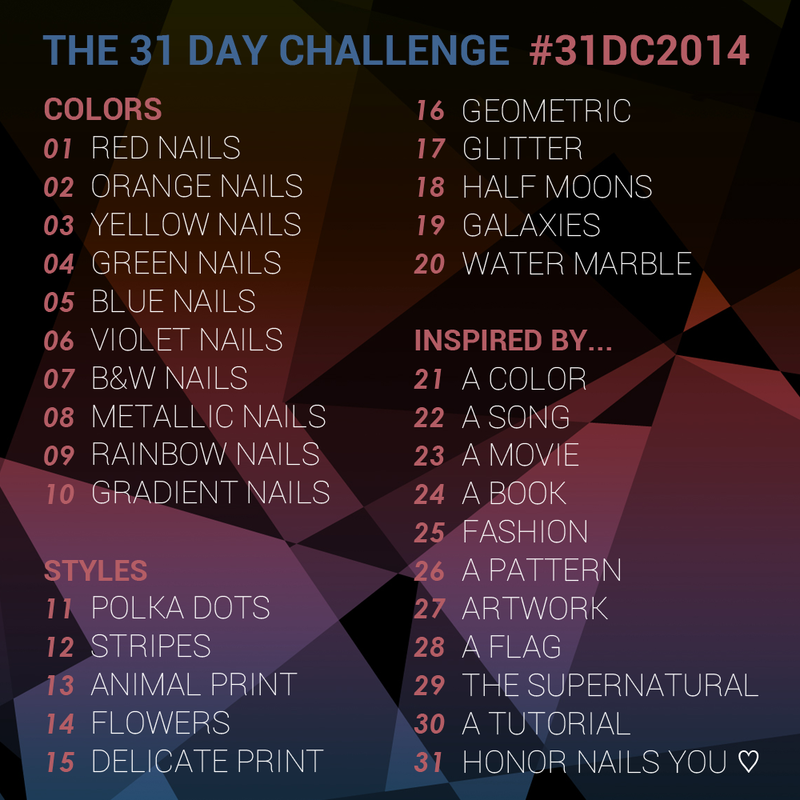 Use the hashtag #31DC2014 to share your manis with us on all your favourite social media sites.